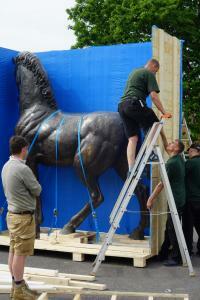 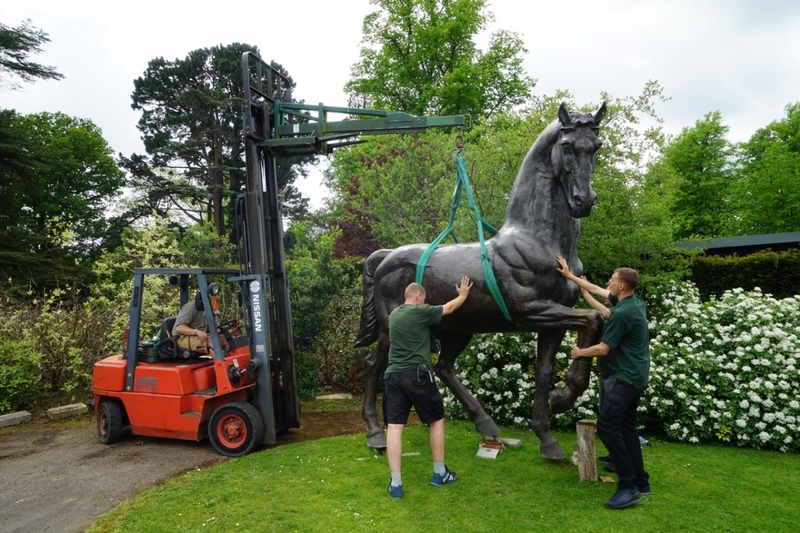 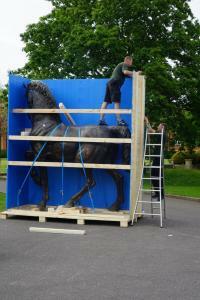 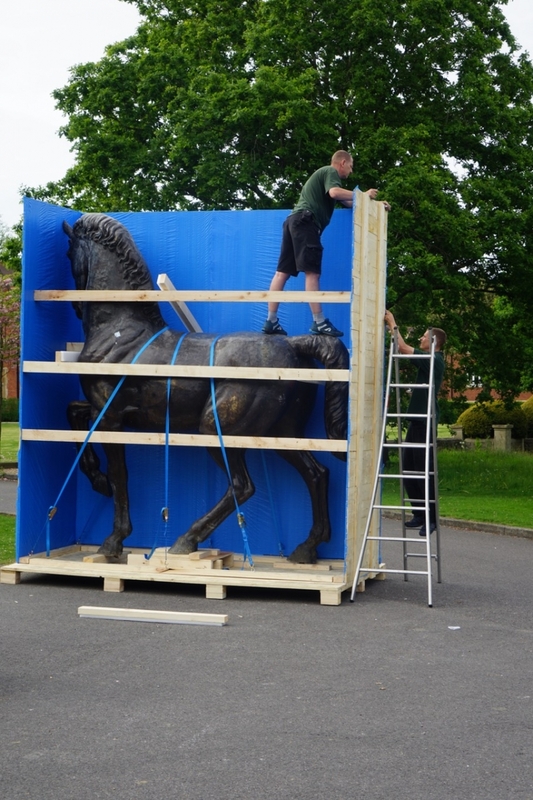 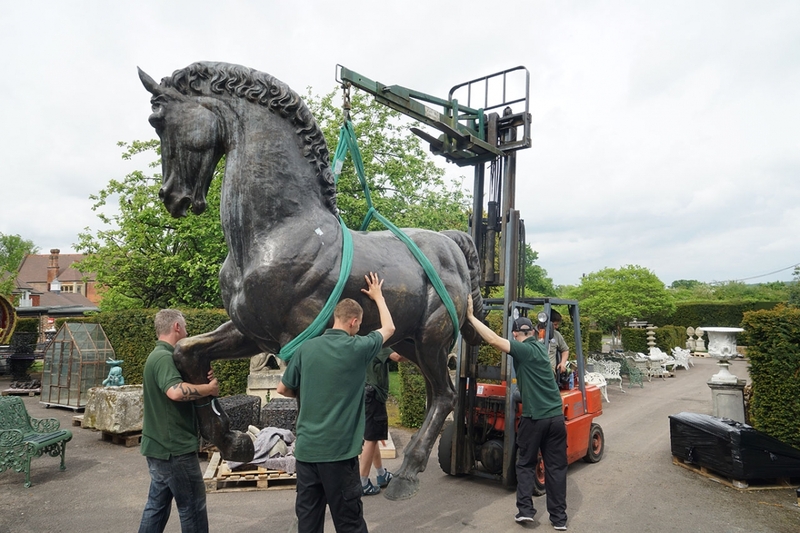 Having previously shipped a chariot and horses for this client, Alban Cases were requested by an established auction house to pack on-site another high value bronze sculpture for shipping to the US east coast. 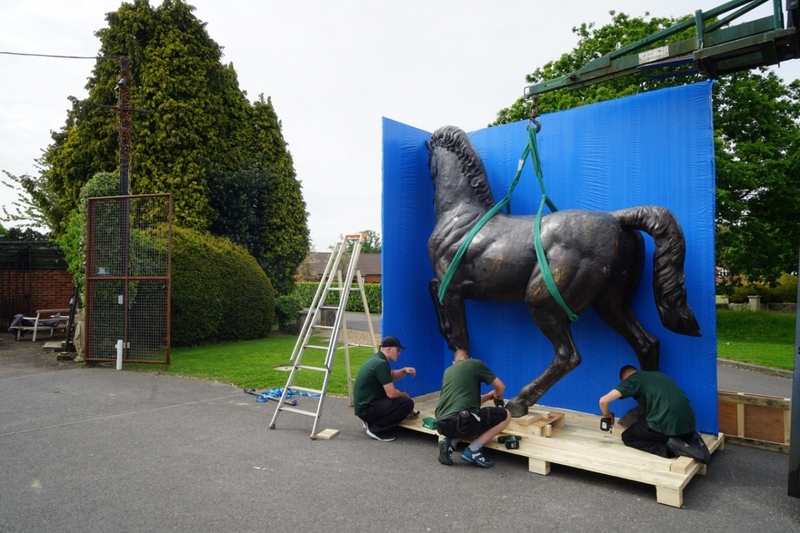 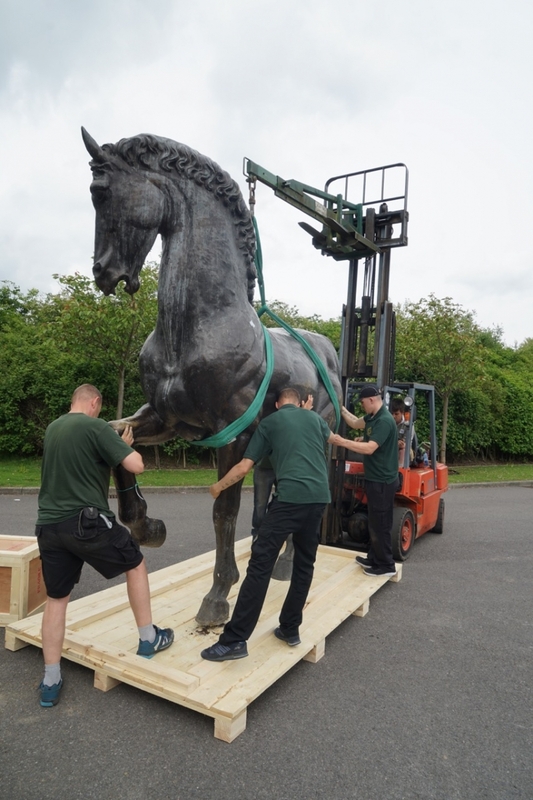 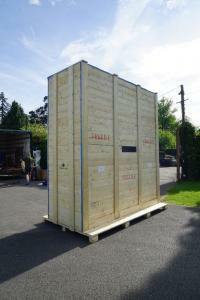 Too big for a regular sea freight container, our team packed the horse on-site into a bespoke timber crate, with internal waterproofing and packaging/supports. 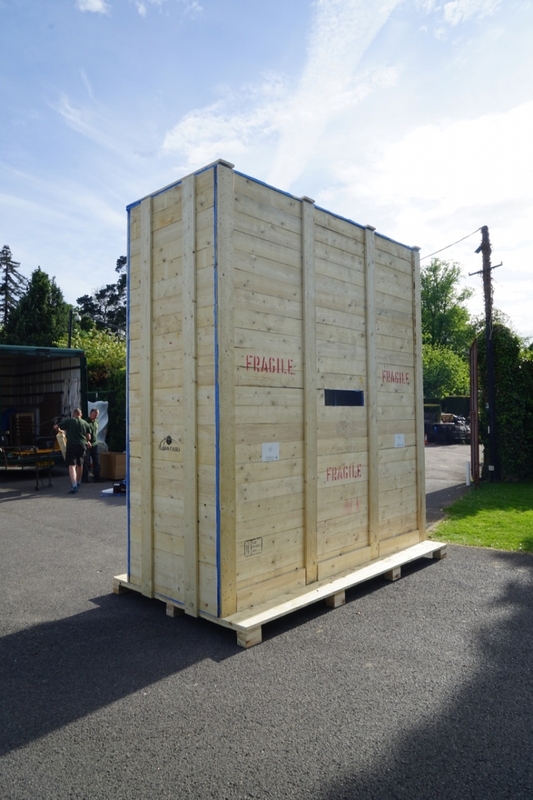 The crate was loaded onto a low loader trailer, and delivered to the UK port, where it was lifted on board an ocean vessel for safe delivery to its final destination. Please click on the pictures or view the slideshow to see how we approached this challenging project.